The consultation on Newcastle City Council’s draft ‘Trees Newcastle: Newcastle City Council Tree Strategy 2018-2023’ closed on Friday 14th December. We submitted the below response, calling for more clarity on how tree cover will be increased and how the strategy will bring about meaningful change. This document sets out Save Newcastle Wildlife’s response to the public consultation on ‘Trees Newcastle: Newcastle City Council Tree Strategy 2018-2023’. We welcome proposals to increase tree cover across the city, but, would like to see further detail in terms of definitive policies and specific numbers for tree planting. The strategy refers to documents not yet in existence, which has led to a confusing and unnavigable consultation process. The strategy sets out that Newcastle has ‘nearly 1 million trees growing in its woodlands, parks and open spaces and alongside footpaths and highways,’ however, there is no actual figure provided for the number of trees in the council’s ownership. The strategy must provide clarification on this, as well as whether the tree stock includes council-owned trees and trees on private land, as the text in the strategy is misleading. Although the strategy sets out the importance of trees and hedgerows for biodiversity, there is no specific policy to recognise the value of preserving trees and hedgerows to connect and enhance important habitats across the city. This must be clarified to avoid the gradual erosion of important wildlife corridors linking designated wildlife sites. There is no reference to community woodlands in the draft tree strategy. The Unitary Development Plan (UDP) allocated specific locations for the creation of community woodlands. Community woodlands benefit people and wildlife. We would like to see details of how community woodlands will be incorporated as part of the strategy and where they will be planted. It would also be useful to develop a programme for using coppice timber and other timber products to engage local communities and demonstrate alternative and sustainable energy production. The strategy should include specific policies to ensure all major developments include woodland in their proposals and that developers contribute to the cost of woodland management elsewhere in the city. The strategy should set out a policy to ensure a set of standards relating to the number of trees required per development. Please refer to our comments in our consultation response to the Draft Development and Allocations Plan. Conditions to stipulate the sequence in which planting is delivered must be made clear in the strategy, to set out how current canopy cover will increase from 18.1% to 20% by 2050. The previous tree strategy had figures per annum for planting of non-woodland trees, street trees, increasing hedgerow and city centre trees. If the council is committed to increasing tree cover, there must be a clear plan in place. The strategy references the significance of ancient semi-natural woodland and veteran trees, but there is no specific policy in place for their protection. We suggest the inclusion of a policy to prevent loss or damage to ancient woodland and veteran or notable trees. The strategy lacks clarity on replacement policies. 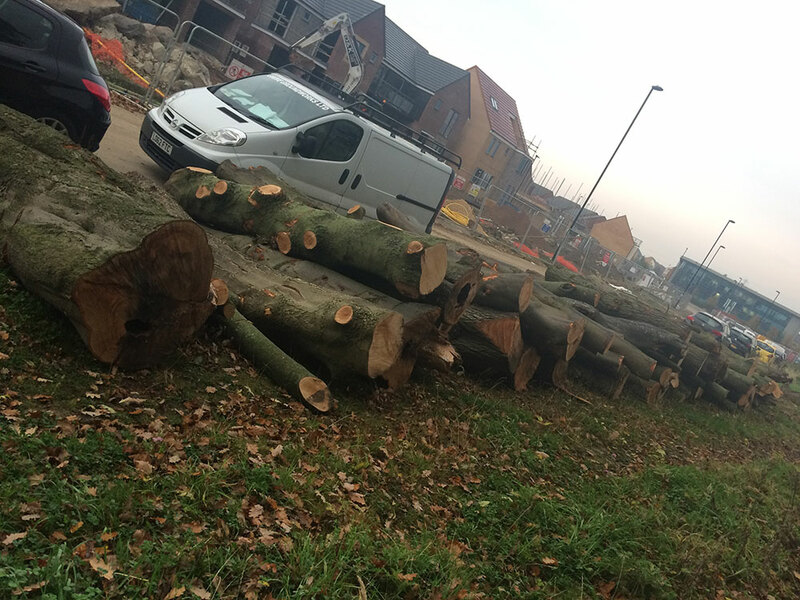 There must be a clear policy to replace felled trees with specific numbers, depending on the size of the felled trees in question. Ideally, replacement should be on a two-for-one basis and there should be a specific policy to reflect this. We would like to see the strategy clearly setting out the number of trees required to compensate for loss of existing trees, dependent upon the size of the trees to be lost. The below tree compensation standard, should be used. The strategy appears to give less weight to hedgerows and does not recognise the importance of maintaining the integrity of existing hedgerows across the city. We suggest the policies are worded to give greater protection to hedgerows and to ensure proper hedge management regimes for hedges. The strategy lacks a policy on School Trees. Trees in school grounds are important for enhancing the attractiveness of an area, as well contributing to the wider landscape and promoting opportunities for education and homes for wildlife. The strategy should specifically refer to promoting tree planting on school grounds. We suggest a policy to ensure the council works with teachers, school representatives and governing bodies to promote the maintenance of trees within school grounds and to encourage the involvement of pupils and students with tree planting. We understand the council previously had a scheme, by which there was a tree planted for every child born in the city. Newcastle City Council should aim to reintroduce the scheme, with reference to ‘One Tree Per Child’, which would involve contacting local primary schools to organise tree planting. There is no specific reference to trees in cemeteries and church yards. Churchyards and cemeteries often contain notable trees worthy of protection and provide significant benefits for wildlife. We suggest a policy that seeks to preserve trees in churchyards and cemeteries and sets out a management plan for each. We would like to see specific policies in place to ensure the active promotion of appropriate trees, shrubs and hedgerows in air quality management areas and to ensure the correct use of species to effectively mitigate for air pollution. Tree species, such as oak, aspen and willow are estimated to emit high levels of biogenic volatile organic compounds, which can contribute to particulate matter and ozone. Any policy should reflect an assessment of the type of vegetation in each location and the effects of this on atmospheric dispersion of pollutants. We would like to see the inclusion of policies to engage the public with trees and woods. This could include a policy on providing advice to encourage tree and hedge planting in gardens and promote wildlife gardening, as well as producing a series of downloadable tree information leaflets and making these available on the council website. The ‘Friends of Newcastle Trees’ group was created some time ago, which involved a tree warden scheme to support the previous Tree Strategy. It would be useful to have such a scheme in place to support the delivery of the new strategy and to engage public participation. We would like to see a management plan in place for all parks and country parks and the strategy must set out how the Newcastle Parks Trust would deliver these plans. A specific policy on Town Moor Trees is required to avoid any potential misunderstanding around Newcastle City Council’s responsibilities and the responsibilities of the Freemen. There has been confusion previously regarding the removal of trees on council-owned land and exemptions under the Forestry Act. The strategy should refer to the need for the city’s tree stock to be UK Sourced and Grown to prevent spread of tree disease and pests. The National Association of Local Councils (NALC) has partnered with the Woodland Trust to create Tree Charter Branches. The Tree Charter sets out principles for trees and woods in society. The strategy should seek to embed the ten principles from the Tree Charter. We trust these comments will be given due consideration and would be grateful if you could confirm receipt of this submission in writing.